After testing Trapster, here are five reasons that I like Trapster, and why it is useful for safe driving. School Zone Alert: If you have the app on or in the background, Trapster will alert you when you are entering a school zone. Even if you are distracted, the alert from Trapster is sure to make you pay attention and prevent you from getting a speeding ticket. I also love the “Children at Play” option and would love to add more places to alert drivers to be careful. Speed Limit Alert: I missed this on Waze. I have driven on new roads and gotten at least one ticket because I missed seeing the speed limit. This app will alert you when you drive above the speed limit. The setting in Trapster is very high, i.e., you are alerted when you are traveling 35 mph, 50 mph, or 65 mph. I would like to be alerted when I am 10 mph above the speed limit, but I don’t see that option. Cameras: Trapster has several features to alert drivers to red light cameras, mobile speed cameras, and fixed speed cameras. Again, a good option for the safety-conscious as these cameras are sure to be at dangerous places. Police Speed Enforcement: Along with user-reported places where there is a speed trap, there are options for alerts in “Known Enforcement Points.” You can set the alert interval to whatever distance you want to be alerted. The alert reminds you not to speed, which is nice. There are some fun features in Trapster, too. You can choose a variety of sound themes for your voice alerts, including New York Taxi Driver theme, Bill Clinton theme, and many more. Trapster is planning to introduce some gamification elements as well. 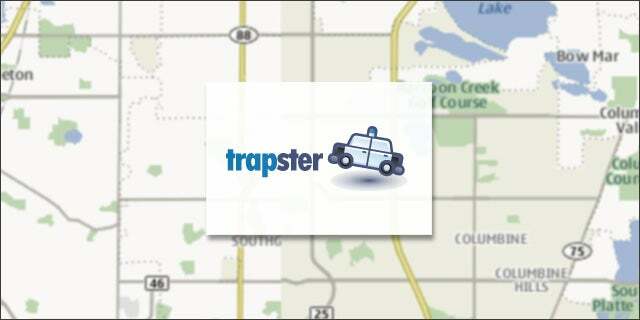 Trapster is crowdsourced since its users report on speed limits, traps, and road conditions. The company’s messaging focuses on avoiding speed traps, police enforcement, and saving on tickets to attract new users. In my opinion, using Trapster is useful for safe driving. My only issue is that Trapster does not offer navigation, so I use Waze for navigation, and have Trapster running in the background. Maybe one day both these startups will share data and have an API to talk to each other. Do you use Trapster or any similar app for safe driving ?